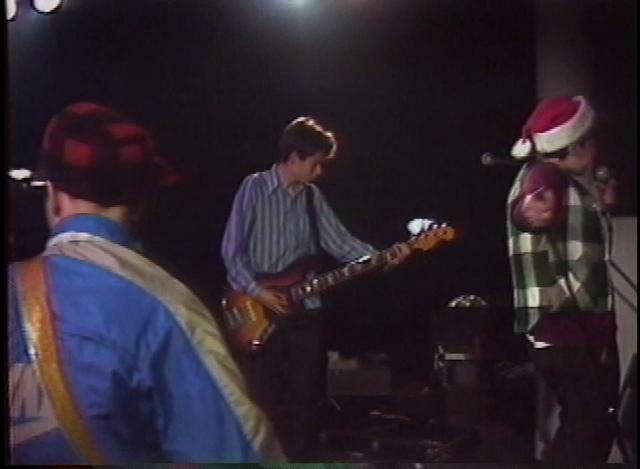 In December 1983 the Beastie Boys performed at The Kitchen alongside the musician and composer Ned Sublette. Formed two years earlier in New York City, the Beastie Boys at the time of this performance were comprised of Michael Diamond, Adam Horovitz, Kate Schellenbach and Adam Yauch, although they would later become a three piece ensemble. While already deemed a phenomenon of the local New York scene by 1983 for their hard-core sound, this performance at The Kitchen focused on the eclectic range of music with which they were experimenting. The following year, with the departure of Kate Schellenbach, the group shifted to be the three man rap trio as which they would achieve global fame and success.